With over 15 years' landscaping experience in both London and Vancouver, we have constructed award-winning gardens and have been featured in design magazines. We specialize in all aspects of garden construction and outdoor living features such as decks, patios, outdoor furniture, fireplaces, pergolas & arbors, outdoor kitchens, spas, walls, privacy screens, outdoor heaters, audio visual equipment, water features, fences and more. 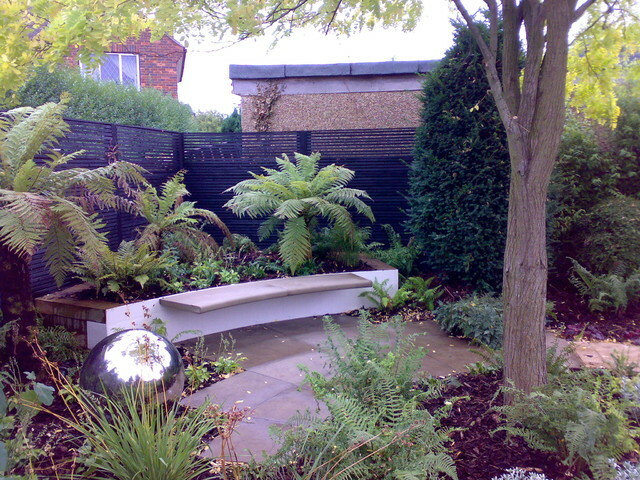 We also handle the softscape side of things such as lawns, planting, irrigation, etc. Using our 3D garden design software we can design your dream garden from scratch or we can convert your existing plans to 3D to help you visualize what your garden will look like. If you are looking for inspiration, we have our ever-increasing portfolio as well as an extensive database of design ideas that can help. Contact us for more information on how to get your outdoor project underway. We currently serve the greater Vancouver area as well as North Vancouver and West Vancouver.